Do you ever ask God why life has to be so hard? Why certain things happen, all in the same week? I remember asking God lots of questions during what I call my “year of impossible.” A month after we adopted our daughter from Ethiopia, my mom was hospitalized with pulmonary embolisms, my dad had emergency quadruple bypass surgery, I had an abnormal mammogram that led to multiple biopsies and a close friend died of breast cancer – all within six months. I remember thinking: “Why has all this happened? Why does life have to be so hard? Can I be honest? When life is overwhelming, I sometimes feel abandoned and wonder where God is and why He isn’t helping me. And I have a feeling Gideon, a man who was called by God but overwhelmed by his circumstances, felt the same way after all he had been through with his enemies, the Midianites. So how did God answer Gideon’s questions? “The Lord turned to him and said, ‘Go in the strength you have and save Israel out of Midian’s hand. Am I not sending you?’” (Judg. 6:14). God didn’t answer Gideon’s “why” question. Instead God told him what role He was calling Gideon to play in what HE was about to do next. I’m learning to embrace my unanswered “why is life so hard” questions, and recognize when life is hard I am more likely to ask for God’s help. And that is a good thing. Tough times often precipitate movement toward God and help us depend on Him more than on ourselves. God used Gideon’s “why” question to draw Gideon closer to Himself, by shifting Gideon’s focus from hard things that happened in his past to what God was about to do in his future. Sometimes God answers our prayers by calling us to be part of the solution to our problems. Instead of changing our circumstances, often God uses our circumstances to change us by bringing us closer to Him, making us more like Him, and helping us find our confidence in Him! Jesus, I get frustrated when life is hard and troubles abound. Yet I don’t want frustration to push me away from You. If my circumstances can’t change, use them to change me – by bringing me closer to You, making me more like You, and helping me find my confidence in You through the circumstances I’m in. In Jesus’ Name, amen. When I say… My life is too hard. God says… I am with you in the middle of these trials. I will not leave you or forsake you. 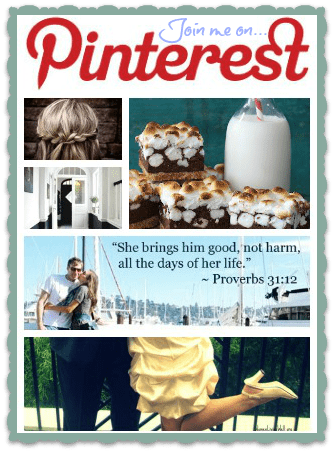 *Today’s post from Renee is a partial excerpt from her new A Confident Heart Devotional book. Used with permission from Revell Books. Renee has been married for over 20 years to her husband and best friend, J.J, and she’s a mom of three. She and her family traveled to Ethiopia in 2009 to bring home their beautiful daughter at the age of 10 months. 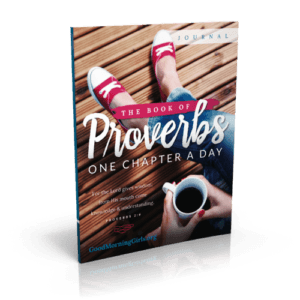 Renee is also a best-selling author, speaker and radio co-host with Proverbs 31 Ministries. She and her family live in North Carolina where Renee has served in leadership on the staff of Proverbs 31 Ministries since 1995. 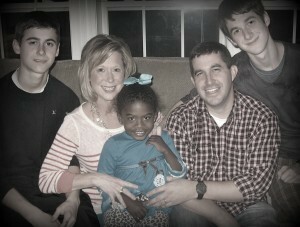 You can find out more about Renee and her family at www.ReneeSwope.com. Do you ever feel like you’re not good enough? Does self-doubt leave you feeling uncertain about your ability to be the woman, wife or mom God’s called you to be? 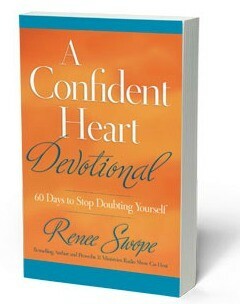 Expanding on her life-changing book, A Confident Heart, that has over 100,000 copies in print, Renee Swope has written a 60-day devotional that will encourage, empower and equip you to live confidently in your God-given roles, relationships, and responsibilities! 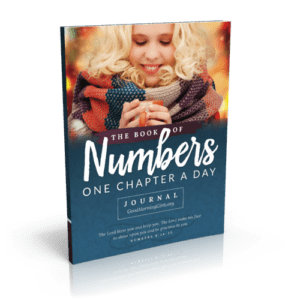 Each devotion ends with a “When I Say…God Says…” statement to match a Bible promise and a prayer to help guide your thoughts and emotions that day. 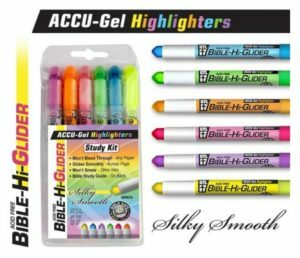 Plus you’ll LOVE an easy-reference chart that includes all sixty ”When I Say…God Says…” statements for days when you just need a promise to hold onto! Enter to WIN a signed copy TODAY! 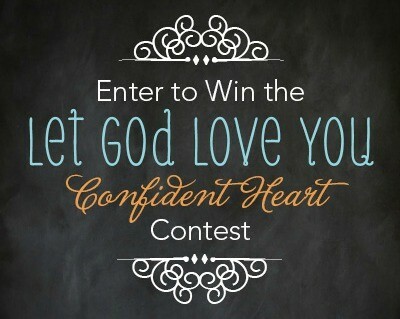 Enter to win one of 2 copies I’m giving away of Renee’s new Confident Heart Devotional book by sharing in the comments: Share why you’d like to read the book, and let us know what friend you’d give it to, if you won 2 copies. The winner is Jenni G!!! Congratulations! I am emailing you now! I would love to read this book. I have been clean for four years this coming March. Alot of things I did and went through while using are still stumbling blocks for me. Fear, shame, and regret are powerful emotions that I’m working very hard to change. If I were to win two books, I would give the other to my best friend who used with me, got clean with me, and is now livong a God driven life with me. I know she goes through the same emotional stumbles that I do, and this would be a great book to read and discuss together. Thanks so much for putting so much prayer and work into your blog. I know it helps more people than you will ever realize, and in different and unique ways for everyone. I would love to read this book. Right now is that time for me why is life so hard and why do somethings happen. I know God is with us but I still too feel like Gideon as well. I would give this book to my dear friend Jessica. Her mom and dad were both diagnosed with pneumonia last month her dad was released from the hospital 9 days later. Her mom at the age of 55 with home to Jesus on February 2 After being in the hospital for a month. I can only imagine how hard this is for Jessica as her mom is her best friend and I know is as asked this question as well. because i’ve been journeying from thinking god is a heartless tyrant to believing god is our loving faithful caring savior. 2nd for my sister-of-the-heart bff whose husband just died unexpectedly leaving her in grief and extremely difficult financial status. I feel like one of the least confident children of God. I cannot bring Him glory when I’m trying to live in my strength. I have a friend who also needs to desperately cling, breathe the promises of our Faithful God. I would definitely be giving her a copy. I would absolutely love to read this book because right now in my life I pretty much feel like I’m going through the “year of the impossible” myself. Therefore I’m making every effort to keep myself buried in the word/promises of God as much as possible, because I know if I don’t the results could be deadly. Self-doubt definitely leaves me feeling uncertain a lot right now. I’m pretty much walking through the fires with only God by my side. If I have God, I have all I need, right? A series of events/hard times separated me from my closest friend/family (church family). That friend is the one that I would choose to give the 2nd copy to if I were to win. Though she has stepped away, I want her to know that she is still dearly loved & prayed for…as she herself is also going through some challenging times at the moment. I believe the book would bless her greatly as well. I definitely needed this. I’m in that why moment of my life and really need God’s guidance right now. I would love to win this book because back at the end of 2011, 5 DAYS before Christmas, I discovered the worst news ever, that my husband of then 11years had been having an affair. Talk about devastating! Then as we were working through recovering from that,four months later in April 2012, I found out that I had a 7cm tumor on my right kidney that ended up being CANCEROUS!!! Talk about a double whammy!! I ended up having my entire right kidney removed ON the day of my son’s 8th birthday, April 26, 2012. Praise be to God, I am cancer-free! I did not require any chemo or radiation treatment and currently remain cancer free! Right now, I am struggling with my job as I am not happy with where I am currently employed having been there for 8 years. So I’m hoping that if I win this Devotional it will help me define things a little better. If I won a 2nd copy, I’d share it with my friend Annie. a lovely 2nd grade teacher, who has gone through some major trials but not once has ever lost her faith in the Lord. I would love to receive this book for a multitude of reasons. I’m a survivor of childhood sexual abusers and am 7 years now recovered from a 20 year battle with bulimia. My life had come ful circle since surrendering to Christ in 2011. I now am a leader in my church’s middle school ministry for girls and also facilitate a christian workshop for women with eating disorders. Yet, even though my story truly speaks redemption and new life I still struggle with believing who I really am to God. My insecurities as a mom, friend, and wife are something I’m at war with everyday. I just think a book/devotional like this might be something that can help continue my process to healing. I would love this book because I want to share it with friends! If I were to win these books, one would be on my desk at work ready to read when the craziness gets to be too much. The other would be lovingly placed in the hands of a self-confessed control-freak of sorts as a source of calm and sanity for her when the pieces aren’t fitting just right. 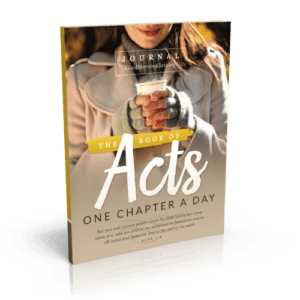 I loved this devotional–especially reading Gideon’s words “Pardon me, my lord”. I have been asking “why” for the last year…trying hard to keep my focus on God’s promises. Been trying hard to internalize this: “God grant me the serenity to accept the things I cannot change; courage to change the things I can; and wisdom to know the difference.” It’s hard when you are a “fixer”. I would love a copy of this book…I would share the extra one with my friend Rita. I would love to read this book! 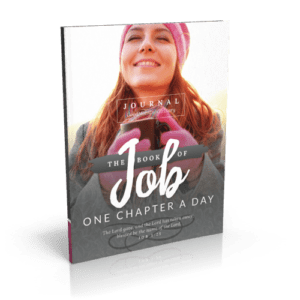 Right now, when the kids are little, everything seems overwhelming some days, and it would be awesome to study this when I feel like I have too much to do – to refocus on what’s important in this life. I would give the other copy to my sister in law, who copes with panic attacks and anxiety. I really needed to read this post this morning, and I would love to win a copy of Renee’s book for myself and a dear friend. I would like to read this book because I’m currently “between crises” and would love the opportunity to strengthen my heart for the next, inevitable, valley. Please don’t misunderstand, I’m not being flippant. I’ve spent 53 years on this earth and, if nothing else, have learned that life is a series of highest mountains and darkest valleys. Our journey is always either at one of those points or between them. I’d place the second book on the lending book cart at church so that it’s available when God leads someone there who needs encouragement. Thanks so much for the chance to win this book! I’ve been wanting to read it for a while, largely because I am a young wife, mother, daughter, sister and friend who struggles daily with a lack of self-confidence. It is so hard, especially this day in age, to avoid the comparison trap and believe the lies that whisper, “You simply aren’t good enough.” I’d love to give a copy of this book to a dear, sweet friend of mine who recently had her second baby and is also struggling with lots of “mommy guilt” as she adjusts to life with two little ones. Since following the obvious leading of The Lord to return home six months ago to take care of our aging parents, our family of four has suffered more difficulty, illnesses, accidents, etc. I don’t doubt God’s voice, but I do wonder why He beats up the one who He asked to go into a situation that requires strength. Your post here really flashed a lightbulb, and just in a moment that doubt was questioned. Right now I sit beside my usually strong husband who fell on the ice last Wednesday and snapped both leg bones in two. He had a rod and screws installed this past weekend and cannot go to work for several weeks. This after a hospital visit for myself and my son, then my dear old mama yesterday. Plus, multiple plumbing breakdowns, auto trouble, illness, bank errors that take an attorney to fix, etc. etc….. My spirit is tired. My soul is tired. My body is tired. The friend I would give it to is one who is also dealing with aged parents, whose husband is gone much of the time on business, and who is road weary on her journey homeschooling her kids. I think she would be blessed by the book, too. Thanks, and God bless your ministry! I am reading the book and the devotional book would be a wonderful companion read. Thanks for the giveaway! I would love to win the devotional. I am currently reading through Renee’s book “A Confident Heart” and I am brought to tears in almost every chapter so far. I am far from having a confident heart, but am growing and learning from her as I go along. Thanks for the chance to win! If I won a second book, I have so many friends who would also love to read it. We would probably pass it around to each other! 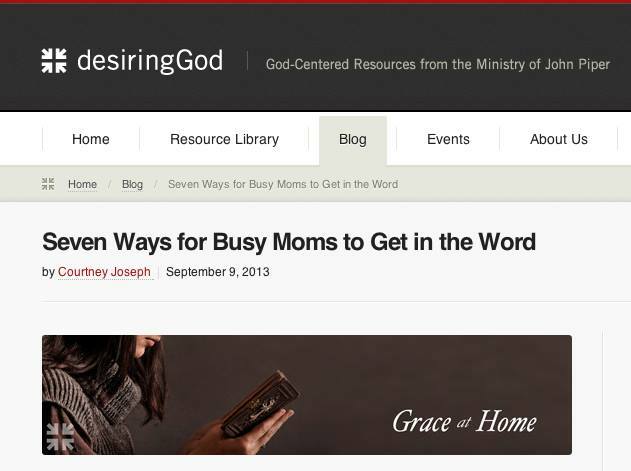 I am a homeschooling mom of two trying to educate my children and raise them to walk in God’s ways. I have only been a Christian for a few years and sometimes I feel oh so overwhelmed. I feel like some days I don’t even know what I’m doing or why and wonder how on earth I am going to teach my children. 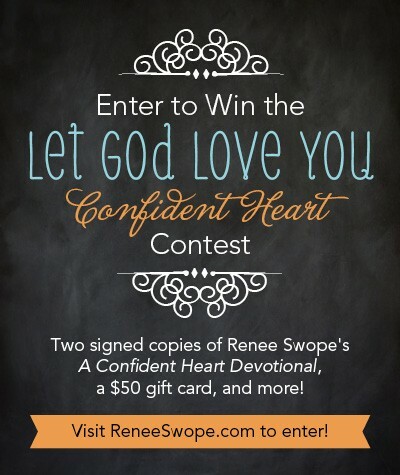 I would love to win Renee’s book because a confident heart is definitely something I struggle to find. I would use her book to guide me in god’s word so that I can truly place all my trust in Him. If I one two copies, I would share it with a friend of mine who struggles in her calling to foster parent. Thank you for offering a giveaway! I would absolutely love a copy of this book. At this time in my life, I’m struggling with a lot of “when I say…” thoughts. Replacing those thoughts with what God says is a daily battle…a battle for the mind. I cherish the idea of having this additional resource to assist me in the battle to “think right”. If I were to be chosen, the second copy would definitely go to my sister. Miles separate us, but our love of God and eachother keeps us close. I need this book when I compare myself to others. It’s a terrible habit! I need to measure up to Jesus and no one else. I would love to read this book. I loved what she wrote today about our “God Why” questions. I must admit that I have done that a lot. My husband and I have been trying to conceive for 5 1/2 years. The doctors don’t give us much hope of ever having a baby. Infertility is crazy hard. All I have wanted since I was little was to grow up and be a wife and mother. I’ve worked with children for half of my life. My degree is in family and child development. It is a deep ache in my heart. We were foster parents last year. It was wonderful and hard. Saying goodbye to a child that you have loved like your own hurts terribly. Months later I still miss my kiddos and I think I always will. We have just started trying the process for foster care again. I see on facebook ultrasound and newborn pictures and I find myself asking “God why can’t that be us?” God does exactly what Mrs. Swope said. He reminds me that I am here to make a difference in children’s lives. That is my purpose. If I won two copies I would give one to my mom. My dad passed away almost 13 years ago and I know she still misses him and asks God why. This book sounds like an answer to prayer. Win or not, I will be looking into reading this book. I am going through a point in my life where I feel like I have lost hope. I hate to say that. My family has been living in limbo for the past 3 years. I just feel like there is nothing left in me to continue. I want be content. I want to bask in the blessings I DO have in my life. I need to find my way back to true contentment. I can only find that by finding my way back to the giver of hope. I am a work in progress. I know there is reason for everything. I need to let go and trust God. My sister-in-law would receive the other copy. This year has been a bad one for her. In the past few weeks she has dealt with a diagnosis, a death and she is now in the middle of a major transition with her family. This looks like a wonderful book. Thank you for the opportunity to win copies! I would like to win a copy of this book because it sounds like the perfect book for meeting me right where I am. The daily promises will be perfect for me to keep in mind as I homeschool my preschooler and lovingly train up my 4 month old. It sounds like an inspiring book. It will definitely help the winner along her walk with God. My good friend, Kylie, would be the recipient of the second copy. 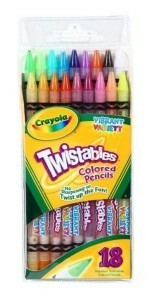 She would absolutely love this as she is also adopting from Ethopia. She has been on the list for 5 years and is now near the end of this part of the journey. This sounds like an amazing book and devotional. I would love to read it, and keep it as a reference for times when my circumstances are “hard”. Life is hard! I’ve recently been on a journey to break free from insecurity, and having a confident heart would be another step in the right direction. I love how the book is formatted, as it sounds so available to those who need to hear God’s promises during tough times. I would give the second copy to my mom, who is going through a tough time right now with relationships, an elderly parent, and a brother with terminal cancer. I would love to see her latch on to God and I would love to see God use these tough circumstances to draw her closer to Him. I would not only love to read this book, I am pretty sure I NEED to read it! I have had many crisis in my life from divorce to death of my son. I try to stay positive, but quite honestly it is hard to do and I struggle to stay positive! Through my grief I distanced myself from people and because of the divorce 2 weeks after my son died I struggle with doubting myself and believing others when they do say anything positive about me. I am a single mom of 2 wonderful girls now and they do keep me strong and going. I am once again facing some trials in my life and am struggling not to doubt decisions that I need to make about myself and our lives. 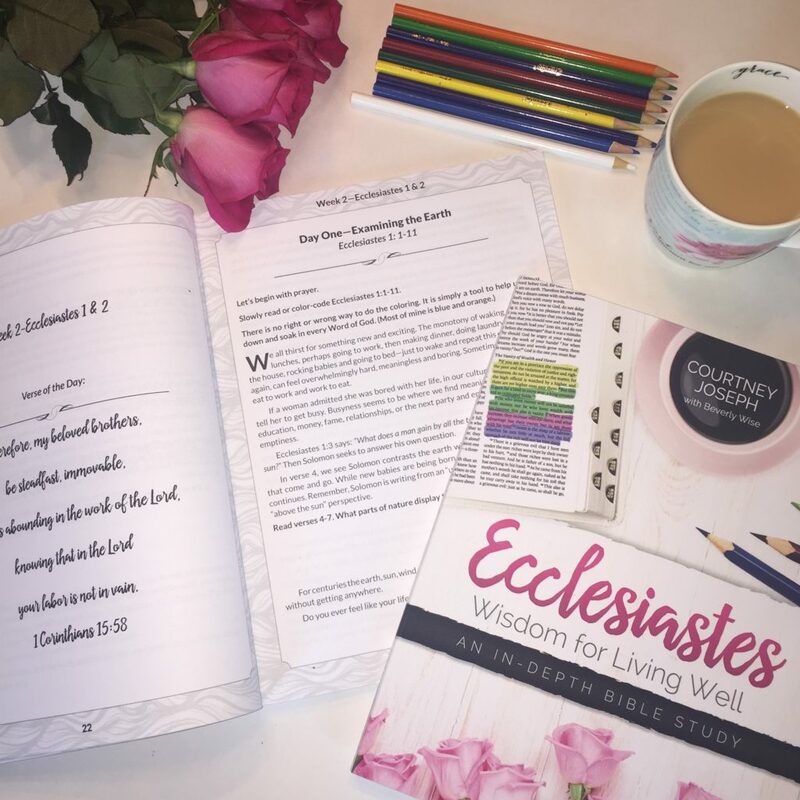 I began the Women Living Well online book study about a month ago, it has been helpful along with my other bible studies. My friend Julie would also benefit from a copy of this book, she has struggled with things and is a great support to me. Thank you for considering us for the book. I would love to read this devotional because I learned so much from A Confident Heart! I would share this book with Kirsten since she is a young woman getting ready to go off to college and these daily readings would bless her! I would very much like to read this book. I have been struggling in my marriage and I am facing surgery next week to remove my non-functioning gallbladder. I constantly struggle with worry and would love to continue to feel God’s strength and love in my life. I want to be the wife/mother/woman God intends me to be. I think this book would be a great resource. If I won a second copy, I would give it to one of my Bible study friends, Jamie. I think this would be great for her too! This book sounds so wonderful and helpful! I would love to read it! I’ve experienced several moments of “whys” in my life, from health issues to a loved one suffering from addiction to my prodigal son. I feel as though there are constant trials that I am being pushed through and lost in. I’m learning to rely on God through all of these things but am always looking for support and I feel this book can offer that to me. I would share the second copy with my sister who has struggled as a single mom for 21 years, often wondering where God is in her life. I know that she would grow in her relationship with the Lord from reading this book. Thank you and God Bless! Life IS hard. I could use encouragement that will bring me closer to the Lord. I am walking with Him, but He is in the process of making me broken so I can be healed of many hurts. I want Him to be my one desire, because all others leave me weary and disappointed. Any friend would benefit from the extra book, but I do have one in mind that could use the encouragment. I would enjoy reading this book and if I don’t win one I’ll most likely purchase one for summer reading. I’d really like to give one to my 21 year old daughter to help her with perspective and get her thinking about these areas before she gets too entrenched in her views of herself and God. I’m enjoying your current study as time allows and look forward to reading them from beginning to end after tax season. Thank you for your ministry and model of walking with the King! I read A Confident Heart together with a friend, would love to go deeper with the material and share with her! This has come at just the right time! Sounds like a real good informative book for me to read, and I need those encouraging words right now! I have a good friend who would really benefit from this book. I NEED this book so very badly, and I would give my teenage daughter the other copy. She is going through ALOT right now! Thanks for the chance! I would love to win, I continue to deal with self esteem and depression issues. I know that God loves me, but anything that can help me remember this is awesome! 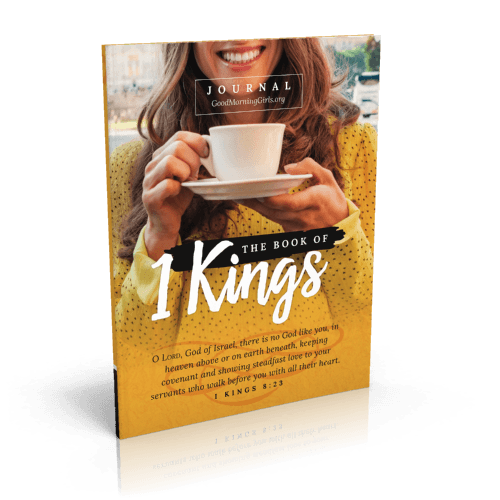 The second copy I would give to a friend at the ladies Bible Study that I go to. I need to understand God’s love so much more in my heart than just head knowledge. The second copy would go to a dear from of mine, Cheryl. She’s dealing with breast cancer, but still brings me over soup today when I’m sick! I sure would enjoy this book. As a pastors wife, there are countless times when I have to trust God no matter what. There are times when I think I can’t do this anymore. I always need reminded that God is in control, not me. I would also share this with my friend who struggles with confidence and feeling valued as a single mom. I would love to read this book. We have spent the last year trying to adopt through the state only to have someone make a false report against us that was taking to heart and causing a denial to happen. Basically crushing our chances to ever adopt,e specially since I can’t even get them to hear me out and remove the denial from our records. Then we had a friend and her 5 children living with us for the last 3 months. During the last month the friend moved out and we cared for her children while,she was supposed to be getting help. The last week we went from having her 5 kids with a good possibility of adopting her twin 3 mo olds to not having having any of them in our house. We keep seeming to hit one dead end after another with the adoption thing. To top it all off my word for this year is WAIT. Now I’m not even sure what I’m waiting for but I know my family can not take anymore of this upheaval to our lives. Just trying to get back on track and functioning. I would share this book my good friends who are going through a lot of trials right now and are part of the Celebrate Program at our church. I would love to read this book. I am my own worst enemy and need an attitude adjustment most of the time! Would love more info to help with that! As far as who’d I’d give a 2nd copy to… Well I am in a GMG group and think I might just give it to a girl in my group! Thank you for the chance! I struggle with sel-confidence and self-worth. My prayer/accountability partner does too. 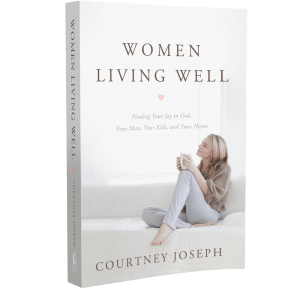 We really work hard at encouraging and uplifting each other, this book would be a great tool in our arsenal as we work towards becoming strong women in Christ. I could use this as I am sure we are all facing something challenging in our life. I would give this to a friend, she is having a hard time with out her sister, who went home to be with God. Always need the encouragement. Would put the second copy in the church library to reach as many as possible. I have been greatly encouraged by reading A Confident Heart and have recommended it to several friends. I love the book and am sure I would be equally blessed with the devotional. I would give a copy to my sister who lost her 19 year old grandson (he was actually more like a son) in an accident a few months back. The week after he died, her daughter found out that she had breast cancer. Her son is battling stage 3 Lyme disease. She and her husband both have battled cancer in the last few years. A month before losing her grandson, they lost a young niece in another accident. And my brother-in-law’s sister died — all this within the last 7 months. I don’t know if it is just because of winter or what, but I would love the encouragement. I would share with my dear friend Melissa. She is a sweet friend who could use an extra dose of confidence. I would like to win the book to give to a couple of my friends…a couple of friends who are beautiful but often fail to see it in themselves! I would give away both copies… one to my friend Jennifer, and the other to my friend Kim. I already have it on my Kindle, and I love it! Thank you for this great daily footprint. I would give both away…one to my sis who has struggled with inadequacy issues and another to a friend. I have it on my kindle and LOVE IT! I would love to read this book because I have struggled with a lack of confidence in who I am in Christ all my life, I would give one copy to my sister who, I always thought had it together until the other day she revealed to me he inner lack of confidence. I would like to read this book just because it has been recommended to me by several people. I would give the book to a close friend from church. I would love to read this book because I am having a hard time right now with things going on in my life. And I would love to give a copy to my best friend who is battling breast cancer. Brand new momma here! Of a 26 week micro-preemie…..life is challenging, and yes, doubt comes into play. 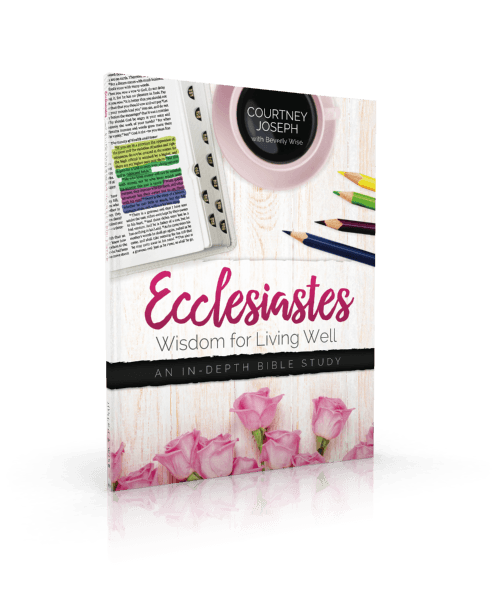 Would love a copy of your wisdom! I would like to read this book because I have been feeling woefully inadequate as a mother and wife. I feel like I can’t get anything done and I’m being pulled in all directions. I would welcome any guidance and encouragement the devotional could provide. I would give a copy to my friend Melissa, who is not saved, in hope that she would read it and thirst for a deeper knowledge of Christ. She is dealing with marriage difficulties while her mother is battling lung cancer for the second time. After several years of attempting to be self confident, I am learning to place all confidence in God. If I let Him lead, the pressure to perform is gone. I have read Renee’s book “A Confident Heart” and was so blessed by it. I would love to read this devotional book. 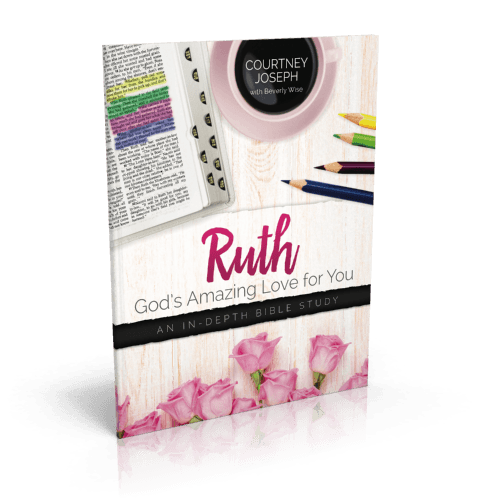 I am blessed by her online devotions and would be so blessed by this book, as would my friend Trudy. I am 1/2 way through her book and love it! 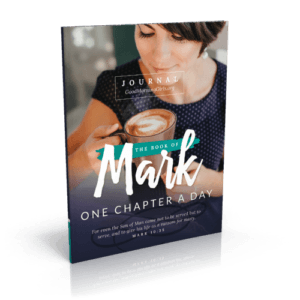 I would love to win this devotional book because it would be such an encouragement for me and my friend, Annie. Thanks for sharing about this book. I know I would enjoy it. I would also love to pass along a copy to e friend from work. Can I give both? Sounds like a few friends could use the encouragement. I would give one to my daughter who is 28 and just a year ago was diagnosed with primary progressive MS. It is bringing her back toward the Lord, but it is a daily struggle physically, emotionally, and mentally. I would read the other one myself as there is a “mourning” process when your child is diagnosed with a dibillitating disease. Then I would pass it on to my daughter-in-law who has psoriatic arthritis. She handles it very well, and my son is very supportive when she is not doing well, but I know it is hard to be young and know that your health is fragile and isn’t going to get any better with out a new medicine being discovered or a miracle! We all value the health we have, and thank God for the good days and pray for His presence when the girls have bad days. 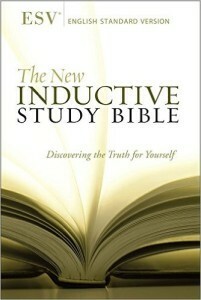 I would love to have this devotional book . I don’t have many friends. I mostly keep to myself. My one friend that I feel the closest to was recently diagnosed with breat cancer. I would love for us to start this book together . I want to be there for her as a friend in Christ. We can start this journey together. God is with her and we both know he is in control ! 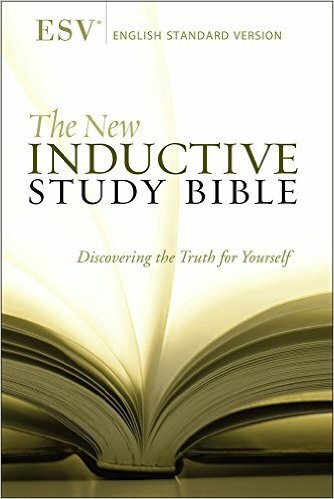 I would love to have this book because it sounds like JUST what I need…..to increase my faith. I would give a second copy to a friend who has blessed me so much through the years….a former pastor’s wife. Thanks for this giveaway and for the post. I’ve struggled with self doubt and thoughts of not being good enough for a long time. Reading this devotional will give me the tools I need to change. I would give the second copy to my sister. She has similar life experiences and it would be a joy to see her become a confident woman of God. Hi! I linked over from Renee Swopes page/email. Thanks for sharing. I’m reading A Confident Heart and would love copies of the devotional. I have more than one person I can think of to give a copy to so I can’t narrow it down. I’ve finally realized just over the last couple of years just how much God really loves me and I don’t have to be “perfect” as I grew up thinking I had to be. What freedom! Hi! I would like to thank you– along with Renee for putting Renee Swope’s book on your blog. I am hopping over to you from her blog. I received the free e-book “A Confident Heart 60 day Devotional on Valentine’s Day and I love it. It was nice of you to put an excerpt of Renee’s book on your Blog. I hope a lot of people read it because it is a great message on God’s LOVE and to show us not to have self-doubt. I have read Renee’s book A Confident Heart 2x and have heard her speak at a church event a couple of years ago. I love her honesty. I would give the book to our church library. Thank you to you and Renee for putting Renee’s book on your blog. I would love to have a copy of the book for myself and the other for a friend I reconnected with last year after 30 years.! I invited her to our women’s conference where one of the ladies from Proverbs 31 was speaking. I am currently doing a bible study about resting in God… Duty or Delight.I think this book would be a great next study as so many of us lack confidence in how much God loves us and we are worthy. Thank you and blessings! I saw this at Renee’s website. What an amazing and refreshing way to look at our circumstances, I just told somebody what a year 2013 was, it was one of the most challenging years of my life and my daughters life! This devotion was like GOD was speaking right to my heart. Thank you for your encouraging words! why you’d like to read the book, and let us know what friend you’d give it to, if you won 2 copies. I’d like to read the book to hear more of Renee’s perspectives . My very first OBS was Renee’s “A Confident Heart” last spring! It changed my life! I would love to read the devotional! If I were to win, I would be sharing a copy with my daughter who is just beginning her journey in true relationship with Jesus. I know this would help her to be confident in Christ! Thanks for the opportunity! I really need to read this book and let the truth sink in. I would give a copy to a friend who is in a tough marriage. I’d like to win simply because I have struggled with doubt and insecurity from as far back as I can remember. I would give a copy to my good friend and pastor’s wife. She didn’t really ask to be a pastor’s wife and its hard for her at times.